Kwame Adom was a tiny guy in high school playing soccer. When he was 19 or 20, he started training at the gym. 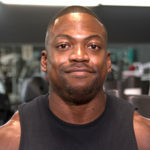 Years later, IFBB Pro Chris Tuttle notice Kwame and his big shoulders popping out of his hoodie and asked him if he competes in bodybuilding. Kwame said that he didn’t, but he would give it a shot. 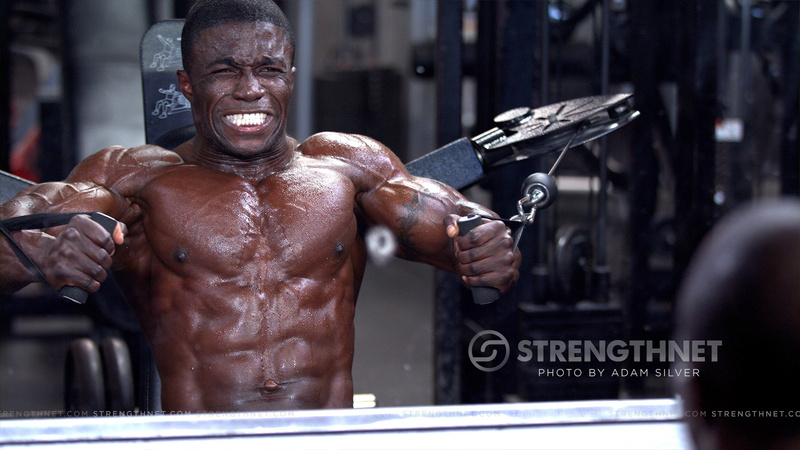 Chris trained him, and Kwame won his first show in the INBF and won his pro card. Kwame competed a couple years later in a Musclemania show and took first place, but didn’t compete again until Classic Physique came along in the NPC. His friend and training partner, Steve Laureus, now an IFBB Pro in Classic Physique, started to compete in the new division and took his pro card in 2017. That motivated Kwame to compete in 2018. With the help of his coach, IFBB Pro Juan “Diesel” Morel, Kwame won the overall in Classic Physique at the 2018 NPC Universe Championships and is now an IFBB Classic Physique Pro.